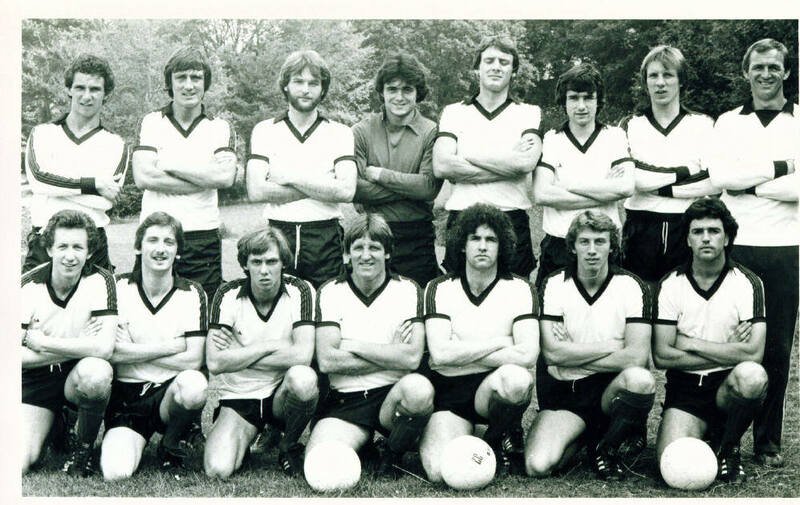 The 1980-81 team pictured before the friendly against Walthamstow Avenue on 9th.August 1980 - lost 3-0. Back row: Bernie Godzik, Peter Brooks, Andy Keeley, Steve Wheatley, Neil Cugley, Ian Carolan, Gary Pugh, Roy Hare(trainer). Front Row: Richard Dowle, Glyn Price, John Gunner, Keith Robinson, Tommy Horsfall, Bobby Wilson, Ian Christie.